This striped frame die is super fun. The frames comes with a second die nested inside, which will need to be separated before use, using flush wire cutters. 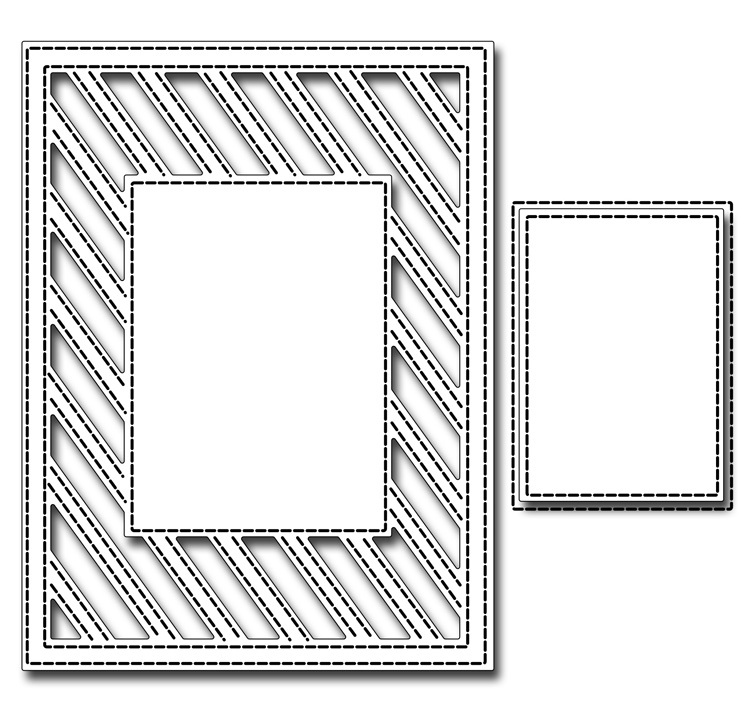 Once separated, you will have a frame die with stitched diagonal stripes and a large blank space in the center, perfect for a stamped sentiment, or other embellishment. The frame measures 5" x 3.75". It's perfect for making shaker cards, too! The second die is a simple stitched rectangle measuring 2.5" x 1.75", great for layering inside the frame, or use it for other projects.